As I was growing up, my father taught me many lessons about the history of African Americans. These were lessons he had learned first-hand in a racially torn South and in a tolerant, but often ignorant North. He taught my brother and I to value the heritage that had helped define our family. He told us of heroes who made a difference. Fifty years ago, James Chaney, Andrew Goodman and Michael Schwerner were murdered by the Ku Klux Klan in Mississippi. Chaney was an African American from the area, and Goodman and Schwerner were Jewish men from New York City. The young people were part of the Freedom Summer project, working to register African Americans to vote. All three were between the ages of 20 and 24. Those who remember the sacrifice of these fine young men are hoping that Congress will posthumously award them the Congressional Gold Medal. Such honors have recently been awarded to other Civil Rights martyrs, including the four young victims of the 1963 Klan bombing of an Alabama church. Unfortunately, in today’s highly polarized political climate, reactions to the anniversaries of such tragedies often veer to one of two extremes. The first uses such evil acts to discredit the idea that there is anything good in the American past. This is nothing new; at the time they occurred, such horrors did much to undermine the moral authority of American leaders both at home and abroad. Klan murders, along with Bull Conner’s fire hoses, exposed the ugly specter of racial terrorism in the South that had been long hidden from the rest of the country. And it is easy to understand why many who lived through such things, as well as those who read about them the papers or saw them on television, began to think of the American promise of liberty and justice for all as little more than a joke. The other extreme reaction often elicited by allusions to these kinds of events is to note that such atrocities are unthinkable today and so conclude that racism no longer exists in any kind of meaningful form. These are the speakers, writers and thinkers who are constantly urging us to “move on,” because there is supposedly nothing more to say or do on the matter. Unfortunately, both reactions miss the complexity of the tragic and unique history of race in America. It is true that slavery and segregation led to unspeakable atrocities against black Americans, but this does not mean that most black Americans are not also currently blessed with tremendous opportunities. The fact that black Americans have come so far, however, does not negate the fact that there is much work left for us to do. The real question we should ask is not “does racism still exist?” but rather “how are our efforts best spent moving forward?” The Civil Rights era was a time of striking down unjust laws and challenging all Americans to reexamine their racial attitudes. This led to much needed changes in both areas. But the success achieved then does not necessarily mean that this is the most effective way to move forward now. When I was diagnosed with esophageal cancer in 2005, I underwent intense chemotherapy and radiation treatment, as well as surgery. This was necessary to save my life. But it would have been a tremendous mistake to continue this treatment into the foreseeable future. The steps I have taken to safeguard my health since that time have been much more lifestyle oriented, ensuring that I am eating well, exercising and visiting my doctor on a regular basis. As I have written before, it is well known that blacks who graduate from high school, marry before having children and stay married have earning power equal to or greater than whites. Is it possible that we have reached the point in race relations where an interventional approach is becoming counterproductive? Could more efforts to strengthen families and communities and to increase educational and economic opportunity be a more effective approach? While it is certainly important to remember the brutalities that punctuated our nation’s past, we must also remember that black history is more than just the story of victimization and suffering. 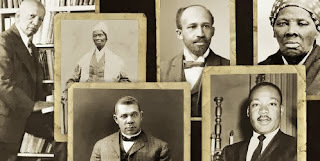 Black Americans have, from the very earliest colonial times, made tremendous contributions to our country’s development and have overcome external limitations to improve the lives of their descendants. The problem with focusing solely on the negative aspects of black history is that it can encourage the perception that opportunities for blacks are so severely limited by racism that it is pointless for them to try. This discourages many young people from making the efforts that will be needed for them to improve their own lives and make things better for their children. Ultimately, we can choose how we look at black history: is it the story of ongoing victimization or of triumph and redemption? Anniversaries such as these rightly remind us both how far we have come, as well as how far we have yet to go. We must never forget the brutal realities of the past or gloss over them as unimportant. But we can choose not to be paralyzed by them and instead be inspired. Harry R. Jackson, Jr. - As founder and Chairman of the High Impact Leadership Coalition (HILC), Bishop Jackson's radio commentary "The Truth in Black and White" can be heard daily on 400+ stations nationally. Jackson is the leading researcher on the black church. This month, America celebrates Black History Month. It’s a time to honor black Americans’ countless contributions to our country, and as Chairman of the Republican Party, I take this opportunity to remember the many African Americans who have shaped our Party from its formative days as a small group of abolitionists through today. I’m thinking of trailblazers like the great Frederick Douglass; Senator Hiram Revels, the first African American to serve in the U.S Congress; and Senator Blanche Bruce, the first African-American senator to serve a full term. And I’m thinking of more recent trailblazers like former Secretary of State Condoleezza Rice, who grew up in the segregated South and rose to become Secretary of State; Senator Tim Scott, the first black senator from the South in over a century; and T.W. Shannon, the first black speaker of the Oklahoma House of Representatives. To better celebrate this rich history, the Republican National Committee inaugurated a new annual tradition last year: naming and honoring Black Republican Trailblazers who made great contributions to our party and country and to their communities. This year, we honor three remarkable individuals: Dr. Louis W. Sullivan, businessman William Brooks, and Judge Sara Harper at our annual Trailblazer Awards, featuring Texas Commissioner of Education Michael Williams as the keynote speaker. In 1975, Dr. Sullivan was named director and founding dean of the Medical Education Program at Morehouse College, which six years later would become the independent Morehouse School of Medicine. He became president of the school, a position he held until 2002, except for the four years he served as U.S. Secretary of Health and Human Services under President George H.W. Bush. Dr. Sullivan also chaired the President’s Commission on Historically Black Colleges and Universities and co-chaired the President’s Commission on HIV and AIDS under President George W. Bush. William Brooks once served in the U.S. Air Force and as Assistant Secretary of Labor for the Employment Standards Administration, and as a member of the Social Security Advisory Board. Today, Brooks serves as Chairman and CEO of BPI Communications, and Chairman Emeritus of the Board of the Michigan Black Chamber of Commerce. His impressive career has spanned government and business and also includes time as a General Motors executive. When Sara Harper received her degree from Case Western Reserve University School of Law, she became the first black woman to graduate from the institution – the beginning of a life of firsts. She was the first black woman to serve on the judiciary of the U.S. Marine Corps Reserve. When she won a seat to the Ohio Court of Appeals, she was one of two black women to become the first women on the court. Just two years later, she became the first black woman appointed to the state Supreme Court. Commissioner Williams is the first African American to hold a non-judicial statewide elected office in Texas history. Before leading the Texas Education Agency, he chaired the Texas Railroad Commission, which regulates the oil and natural gas industries. Our three trailblazers and keynote speaker have had distinct careers, but all have been pioneers who leave a lasting legacy on the American landscape. We honored their accomplishments at our annual Republican Trailblazer Awards in February – and hopefully inspired a new generation of leaders. But that work goes far beyond one month or one event. To continue to connect our party with black voters and communities across this country, the Republican National Committee launched a voter engagement effort that’s unprecedented in the Party’s history. It’s about getting to know people where they live, work, and worship. Republicans – staff and volunteers – are in communities sharing our ideas and values with voters who may not have heard from us before. Why are we doing this? Because we want to make sure every American has the chance to achieve his or her vision of the American Dream. But in too many places, the economic gap is widening, schools are underperforming, and families are still struggling. Republicans believe in solutions that fix these inequalities. All Americans should have equal opportunities and the chance to build a successful life. That’s our philosophy as a party – and to make it a reality we’re going to need a new generation of Sara Harpers and Bill Brookses and Louis Sullivans. So we honor the trailblazers of the past, we draw inspiration for building a better future. 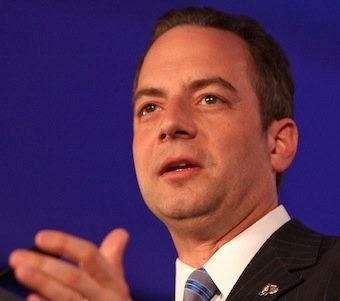 Reince Priebus is chairman of the Republican National Committee. I'm Young, African American, Female and ... Republican! I didn’t become a black Republican—I’ve always been one. My mother gave birth to me when she was 16 years old, and we received government assistance during the first few years of my life. When I was growing up, she taught me the importance of making a budget and living by it. In our home I learned the importance of having a plan and delaying gratification for the things I wanted or thought I deserved. It meant generic brands instead of name brands and buying what I needed, rather than what I may have wanted. It meant living more conservatively. Although she had me at a young age and knew there would be struggles ahead, my mother chose life. For that I am forever grateful to her. Given my background, I may be what some would view as an unlikely Republican. 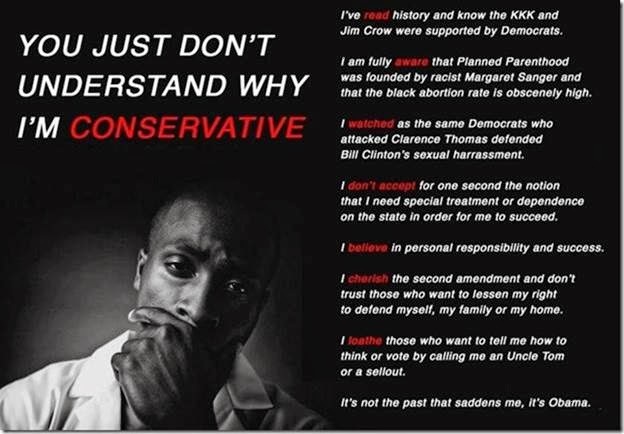 But I firmly believe in the ability of conservative principles and values to empower people to live better lives. I am humbled to be able to honor my mother, having been selected for recognition as one of the newest “Rising Stars” of the Republican Party. The Rising Star initiative is a strong, concerted effort by our party to engage and listen to the next generation of leadership. And it’s clear to me, in this new role, that the Republican National Committee is listening to new voices that often make up the young, silent majority. We believe in keeping more money in our own pockets so that we can afford the things we need, especially when times are hard. We believe in a less intrusive government that doesn’t get in the way of us living out our dreams. We believe in entrepreneurship and innovation. We also believe in protecting the lives of the unborn. And when those babies grow into young children, we believe in providing them with the best education possible—and that parents, not government, should make those choices for their children. And because the future of our country depends upon it, we believe that the voices of young people need to be heard, not just in future elections but in the important debates concerning these and many other issues. RNC Chairman Reince Priebus is lighting a path for young voters of all demographics, and his leadership is a clarion call to young African Americans, Hispanics, Asian Americans, college students and women. He has brought us to the table. He believes in our ideas, and he is providing the resources for successful outcomes in future elections. He, and I, believe that the future of the Republican Party is filled with Rising Stars. 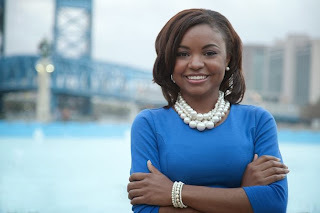 Chelsi P. Henry is a RNC Rising Star and an environmental-policy adviser. She was the youngest elected woman in Jacksonville, Fla.’s history, serving for three years as supervisor of Soil and Water Conservation District Group 5. Follow her on Twitter. More than 300 people were in attendance to witness RNC Chairman Reince Priebus present the 2014 Trailblazer Awards to former Assistant Secretary of Labor Bill Brooks of Michigan, former Ohio Supreme Court Judge Sara J. Harper, and former Secretary of the U.S. Department of Health and Human Services Louis Sullivan, M.D. of Georgia. “Today we celebrate three remarkable individuals who made a difference in the Republican Party, made history by breaking barriers and have remained an inspiration to us all by opening doors for others to succeed. It’s important that we honor the contributions of our trailblazers as we look toward building the future with a new generation of black Republicans,” said RNC Chairman Reince Priebus. Texas Education Commissioner Michael L. Williams delivered the keynote speech following remarks by Chairman Reince Priebus and Co-Chair Sharon Day. Political activist and actor Joseph Phillips, best known for his role on The Cosby Show, co-hosted the event. In addition to recognition by the RNC, Ohio Governor John Kasich issued a resolution honoring Judge Sara J. Harper. Also this week, the RNC announced a series of paid advertisements placed with black media outlets in urban markets. The radio ads highlighted the 2014 Trailblazer honorees, and the print ads paid tribute to nationally recognized black Republicans. William C. Brooks – A U.S. Air Force veteran, William Brooks was recruited to serve in the White House Office of Management and Budget, under President Richard Nixon. He later received appointments from Presidents George H.W. Bush and Clinton, to be an Assistant Secretary of Labor and a member of the Social Security Advisory Board. In the private sector, Mr. Brooks has held numerous executive positions, including Vice President of Corporate Affairs for General Motors, and has served on many corporate boards. He is a member of Kappa Alpha Psi Fraternity, Incorporated. Judge Sara J. Harper – Judge Harper was the first black woman to serve on the U.S. Marine Corp Reserve Judiciary. After retiring as a Lieutenant Colonel, she won a seat on the Ohio 8th District Court of Appeals, becoming one of the first two women elected to the court. Two years later, she became the first black woman appointed to the state Supreme Court. A former president of the Cleveland chapter of the NAACP, Judge Harper has worked for civil rights throughout her life. She is also a member of Alpha Kappa Alpha Sorority, Incorporated. Louis Sullivan, MD – In 1975, Dr. Sullivan returned to his alma mater, Morehouse College to become the director and founding dean of the Medical Education Program. Six years later, he founded the independent Morehouse School of Medicine, and he became the school’s first president. He held that position until 2002, with the exception of four years when he served as U.S. Secretary of Health and Human Services under President George H.W. Bush. The recipient of over 60 honorary degrees, Dr. Sullivan also chaired the President’s Commission on Historically Black Colleges and Universities and co-chaired the President’s Commission on HIV and AIDS under President George W. Bush. He is a member of Alpha Phi Alpha Fraternity, Incorporated. America's preeminent black filmmaker in the first half of the twentieth century. Block Starz Music Television is producing the documentary film titled THE CZAR OF BLACK HOLLYWOOD, an original documentary series chronicling the early life and career of African-American filmmaker Oscar Micheaux (1884-1951). The release date is March 31, 2014. Oscar Micheaux was a towering figure even by today's standards. He was not only America's preeminent black filmmaker for three decades, but also the country's most prolific; having directed or produced 22 silent movies and 15 talking pictures during his illustrious, yet tumultuous career. THE CZAR OF BLACK HOLLYWOOD uses archival film, photos, illustrations and music to weave a compelling narrative of Micheaux's early life and his production of the first feature length silent film and sound motion picture by an African-American. Click here to view the screening video. For full disclosure, the remarkable story about this American author, film director and independent producer, regarded as the first major African-American feature filmmaker, inspired me to become an Executive Producer of this documentary with Producer Bayer Mack of Block Starz Music Television and fellow Executive Producer Hal Croasmun of ScreenwritingU. Additional information about this project can be viewed on the ScreenwritingU website.